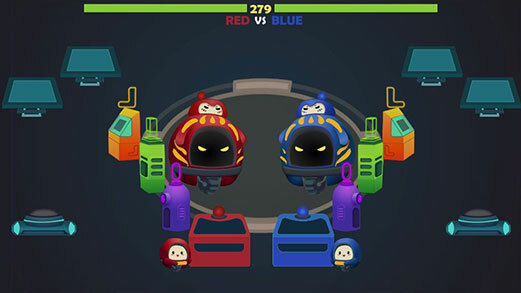 Player 1 controls a bot, that controls another bot, that fights another bot and it's controlled by another bot, which is controlled by player 2. 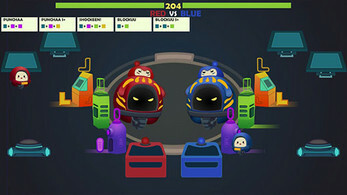 Sumbot Fighting! is a 2 player fighting game with a twist. Instead of buttons mashing, players will build command boards, using the smaller worker robot, and send it to the fighter robot. There are a total of 5 commands, "PUNCHAA", "PUNCHAA S+", "BLOCKUU", "BLOCKUU S+" and "SHOCKEEN". Beat the other player's bot before the time runs out. ps. Please play in full screen.